Teaching Moment How To Kayak! On Thursday June 30th, we went to Carson beach everyone was so tired because it was a early day, But at Carson beach we had a group of team, we had to pick one of the section we wanted to go first, so what we had going on at Carson beach on the orientation is we had kayaking, story about are self, and fish printing. 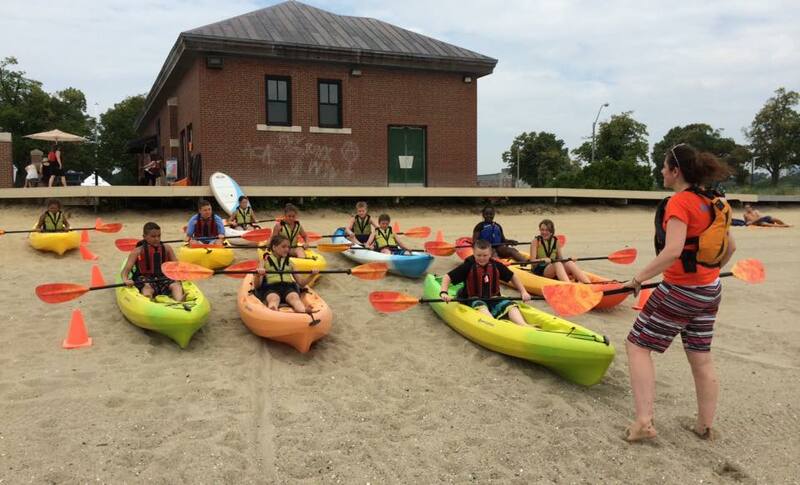 I had a awesome day at Carson beach because when are group went with another group to go kayaking with them we wanted to race with them on the kayak and the best part we had was jumping off the kayak, some people was frighten to jump off the kayak because it was to deep for them and they think they will drown but no they didn't. I and Mauricio told some of them that they will float on the water because they got their life jacket on and they won't go no where when they have there life jacket on. Also, we told them that if they won't jump in the water on a sunny and hot day they will get flipped on the kayak if they didn't get in the water but it was fun jumping in the water and swim it felt so refreshing. When we were at Carson beach one of the little kids knew how to play soccer so I and Preston had a little tournament of soccer some of these kids a very talented on sports but most part I enjoy is soccer because when of the kids are talented on soccer they cross up one of are staff and it's kind of really hilarious. Chris be surprise and shock because he got mix by a little boy. While when i was at Carson Preston and other people was teaching how the rule and games go of frieze "b" i kind of enjoy it playing frieze "b". When i was at Carson Beach one day when i was looking at the kids swimming the boys from the group push his friend into the water it was kinda hilarious and at the same time it wasn't it made my day seeing kids having fun.